~ A blog about travelling, with allergies. Following our 6 nights in Hong Kong, we moved onto Kuala Lumpur. This meant a total change of culture, weather and style of food. I was very apprehensive to go to Malaysia, given the prevalence of peanuts (particularly satay sauce) in its cuisine. At KL airport, there was even an entire restaurant called Satay Club – an entire restaurant dedicated to my biggest fear. I spotted this when we were at the airport on the way to Hong Kong, so I pretty much spent the next week in Hong Kong incredibly concerned about what my time in KL would hold for me. But this fear was entirely misplaced. My dining experiences in KL were surprisingly easy and breezy, and nuts weren’t particularly prevalent outside of the Malaysian restaurants. Thankfully, I don’t think I spotted any other ‘DESPERATELY STAY AWAY FROM THIS ZONE’ sort of a satay-dedicated restaurant. Reassuringly, there were heaps of different dining options with lots of variety, and I enjoyed some really delicious food! It was actually much much easier to find food in Kuala Lumpur than it was in Hong Kong (where I often embarrassingly resorted to McDonalds). there is way more Western-style food around and about. the Malaysians spoke much better English than was my experience in Hong Kong. We stayed at the Grand Millennium hotel which was perfectly located for 2 very important purposes – 1) food access and 2) SHOPPING. You probably aren’t so interested in hearing about my shopping escapades (or maybe you are? ), so let me rather talk about some food. Firstly, on the outside of Pavillon shopping mall, there is a strip of Western restaurants. From memory, there was Italian, American, Mexican and Spanish food. The area is always buzzing, with music, people enjoying good food or having drinks, and even dancing (yeh – the waiters/waitresses at Johnny Rockets engage in a dance and song routine every now and then which was interesting, but hay, it got my attention!) 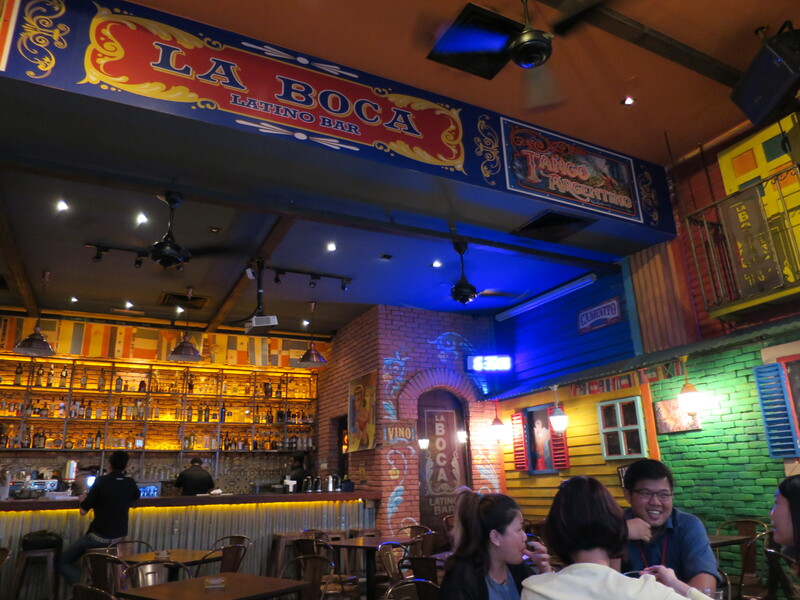 Feeling reminiscent of my days in Spain, I decided to eat at La Boca to enjoy some tapas. Fiesta! Now I don’t think there is any comparison for paella outside of Spain, but I am willing to make a bold statement. Are you ready? For me, the tapas were better than in Spain. That’s right .. I said it. But let me back up a minute and clarify something: I didn’t actually have many tapas in Spain, given the prevalence of seafood and fish. So yes, the tapas were better in Malaysia than in Spain, but I am probably not the fairest of judges. It was pretty much because the tapas weren’t really the typical Spanish tapas, for they involved lots of chicken and far less seafood. 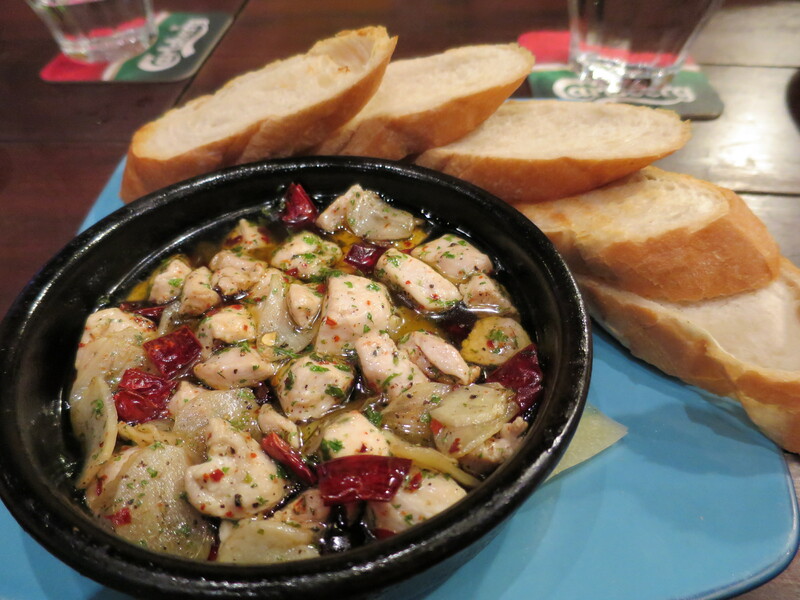 So first up I had Pollo Picante – fiery, sizzling diced chicken breast in olive oil, garlic and chilli, served with fresh baguette. It tasted as good as it sounded. It was damn spicy, but then was perfectly balanced out with the fresh baguette. I loved every mouthful of it. 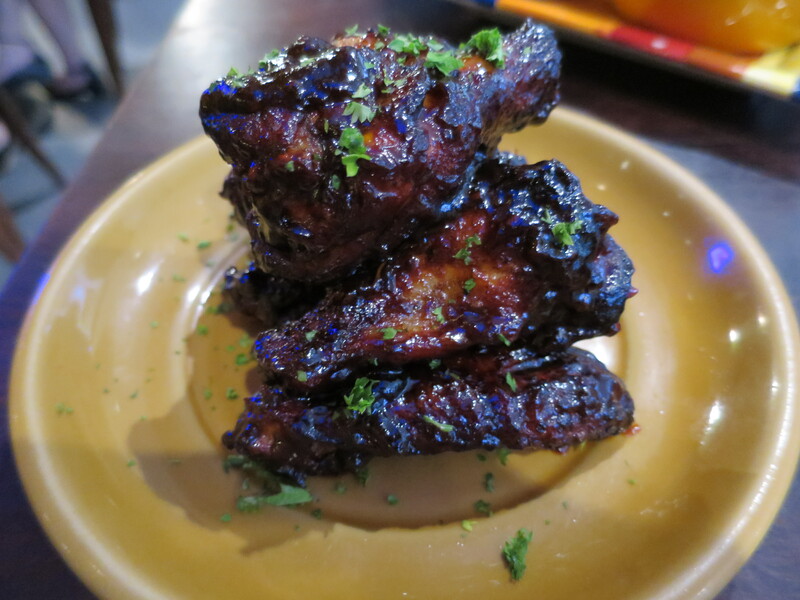 Second, I had the Corcovado chicken wings – delicious chicken wings, cooked in La Boca’s special BBQ sauce, served with sour cream. I ordered it without the sour cream of course, but it was still really delightful. The special BBQ sauce was very delicious and I’m sure the sour cream would have been a great addition. Overall, I was really impressed with my meal. It was also way too much food for me, even though it only came to about $15 (which is actually very expensive for food in Malaysia). My waitress was also very helpful in relation to my allergies – she checked everything with the kitchen and understood me perfectly. It had an awesome vibe (although it didn’t quite feel like I was back in Spain). 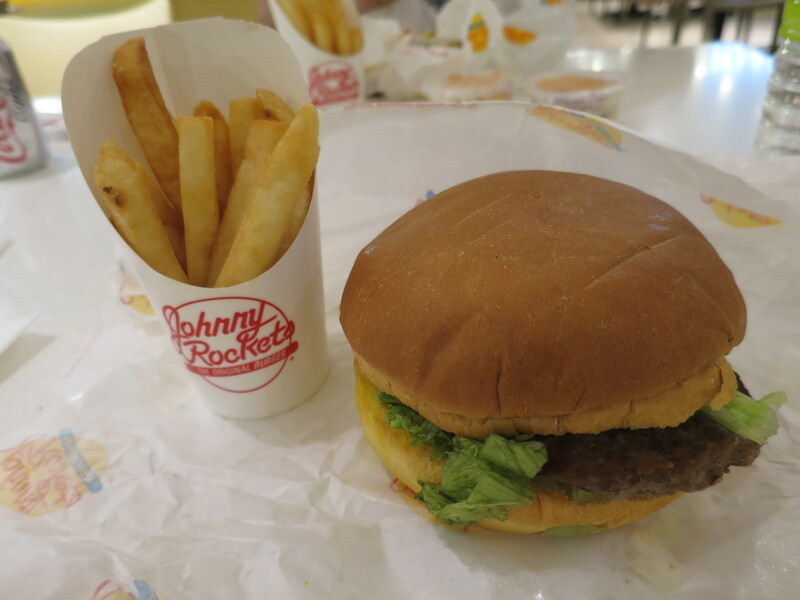 I also ate at Johnny Rockets (the song and dance worked I guess) as we felt like burgers one night, but it unfortunately wasn’t quite up to the standard of a good ol’ Aussie burger. Then in addition to the strip of restaurants, there is also a food court at the bottom of Pavillion shopping centre called Food Republic. The food court had every kind of Asian cuisine imaginable – from Vegetarian to Teppanyaki to Taiwanese – and there were also some fast food places like Subway and Boost Juice, as well as bakeries and candy stores. It was filled with some incredibly cheap (i’m talking a couple of $AUD) and (apparently) delicious food. It is definitely worth visiting. Being a food court, you can bring food from different restaurants (including those from the strip mentioned above) so my family could all eat together. What did this mean? I could enjoy whatever food I wanted without having to hinder my family’s true cultural culinary experience. They had a ball! And so did I! 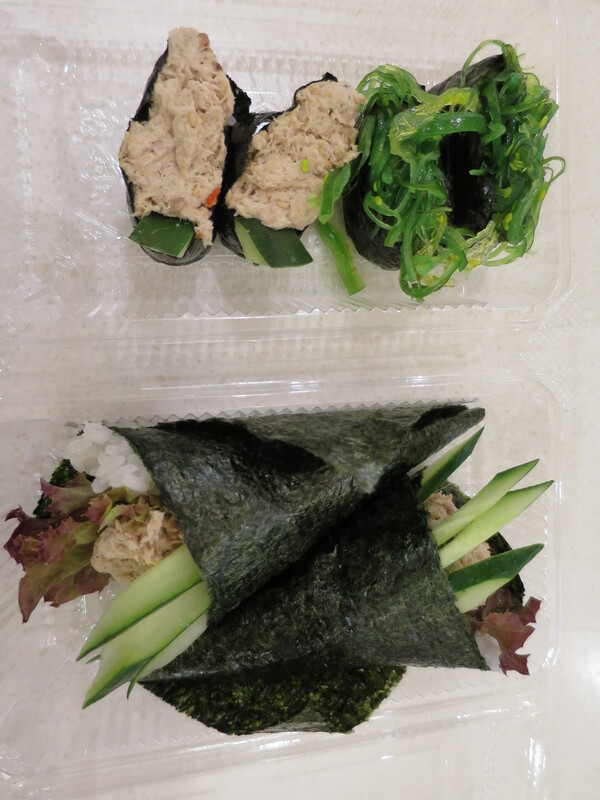 I had some delicious Japanese in the food court a few times – tuna / seaweed handrolls were the perfect break from all the heavy eating over the past 2 weeks. So that just about covers the lunch and dinner portion of our days in Kuala Lumpur, but I do have a few peanut-related stories to come in relation to breakfast at our hotel, as well as a few other handy tips and hints. Now all that food talk has really made me hungry… and craving chicken wings. Until next time… menikmati hidangan anda.